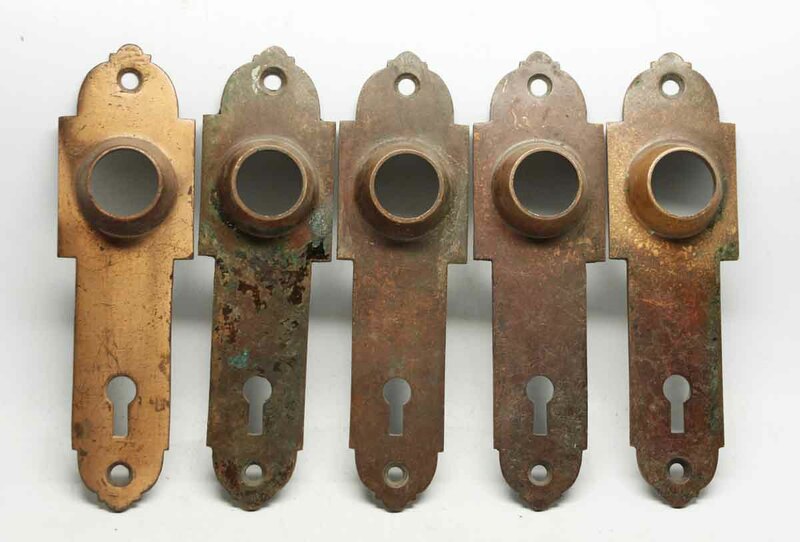 Solid bronze back plates with antique patina. These can be used on a variety of styles of doorknobs and are similar to an Arts & Craft style. Inscribed on the back. Priced as a set.